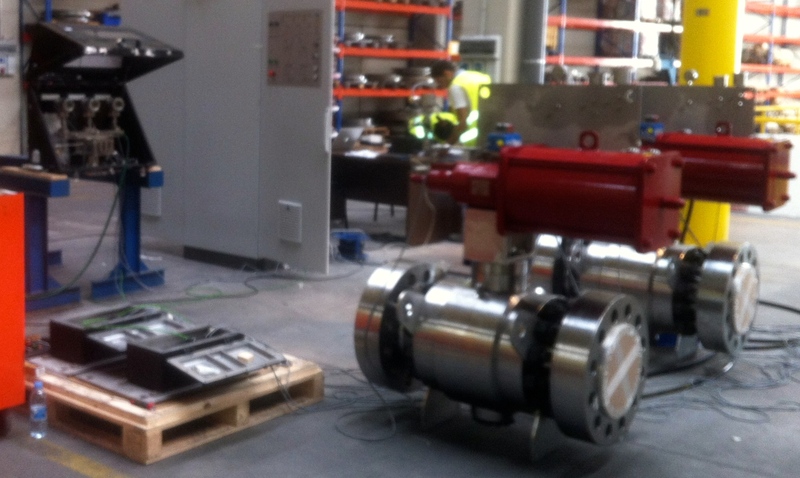 In the process industry HIPPS systems are used to prevent over-pressurization of a plant or pipeline. Where relief systems vent fluids and gas directly or indirectly to the environment, HIPPS systems shut off the high pressure source. This has the direct benefit that there is no environmental damage. But due the unusual high pressure HIPPS systems need to be extremely reliable and safe. HIPPS systems typically need to meet SIL 3 or SIL 4 according to IEC 61508 or IEC 61511. 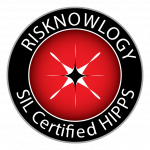 The Risknowlogy HIPPS SIL Verification and Certification program supports end users, as well as engineering companies, system integrators and products suppliers of HIPPS systems. We verify and/or certify complete HIPPS system as well HIPPS products like pressure sensors, transmitters, logic solvers, and final elements. 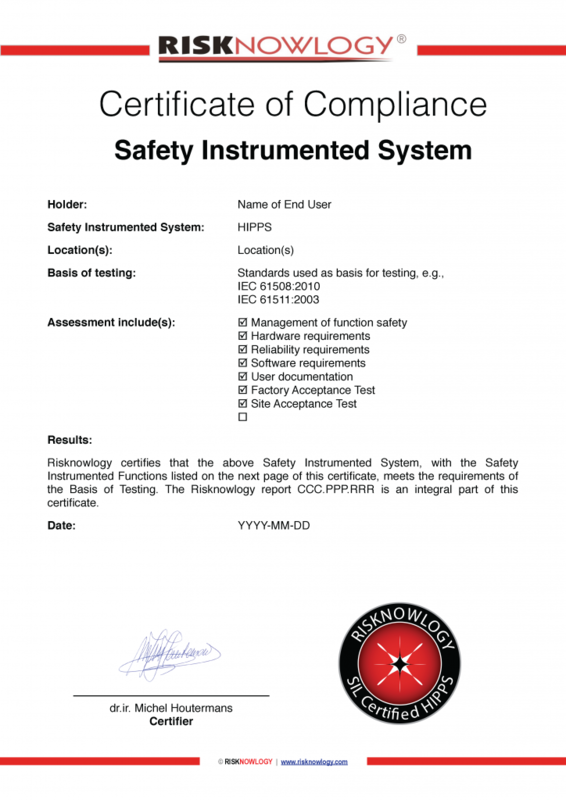 Risknowlogy verifies and certifies HIPPS systems for end users. End users hire engineering companies and system integrators to design and build the HIPPS systems for them. But before the HIPPS is shipped to the field, the end user can rely on Risknowlogy’s HIPPS SIL Verification and/or Certification. We can make sure that your suppliers actually design, build, integrate, install, commission, and validate the HIPPS according to the rules of IEC 61508 and/or IEC 61511. We do the verification work for you. Risknowlogy can witness FATs, iFATs, and SATs upon request of the client. Before the validation takes place the FAT, iFAT, and/or SAT test protocol needs to be reviewed and approved. The protocol needs to address the requirements in the safety requirements specification (SRS) and needs to include proper functional testing and robustness testing. 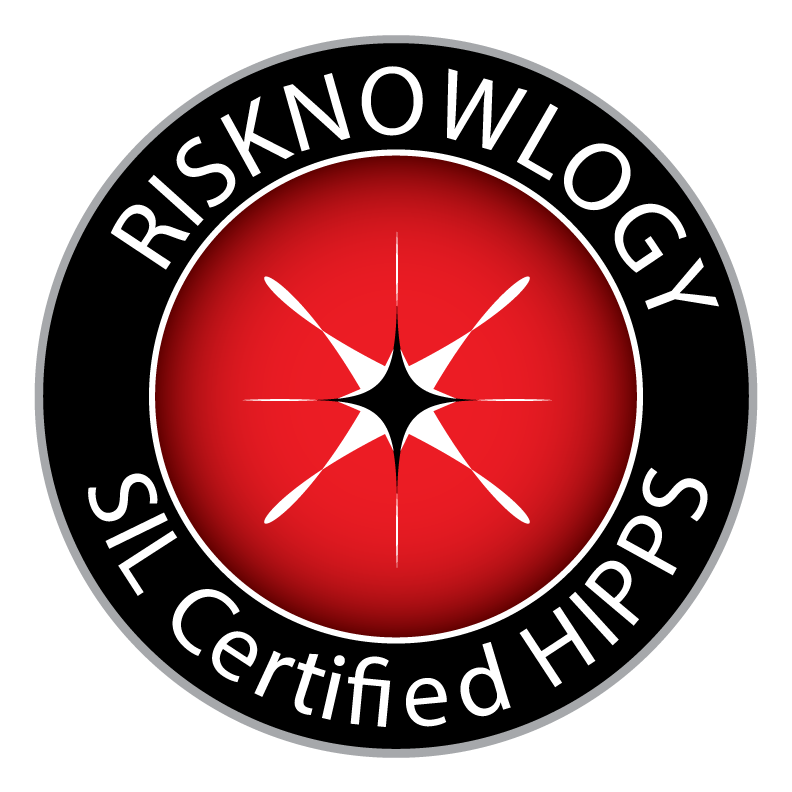 Risknowlogy’s HIPPS certification can consist of an independent SIL review and assessment of the designed, engineered, installed, operated, maintained and repaired HIPPS functions/system. Our HIPPS Certification reports are used by suppliers to demonstrate to end-users that they are compliant with the defined standards. End users use our reports to demonstrate compliance with standards to insurance companies, third parties and government bodies. The Risknowlogy SIL Certified HIPPS certificate indicates the end user, the location where the system is installed, the basis of testing and what is included in the assessment. On the 2nd page of the certificate all certified SIFs will be listed as applicable to the location. The end user site can use this certificate to demonstrate to the head office, insurance companies, local third parties that their SIFs have been independently verified and assessed. Risknowlogy certifies process availability. For those customers that have problems with their HIPPS systems in terms of causing too many spurious trips, we offer to analyse the HIPPS design and classify it with a Spurious Trip Level (STL). This STL can then be used to compare the current design to the target STL. If the target STL is higher than the current STL the design of the HIPPS needs to be improved to cause less spurious trips.